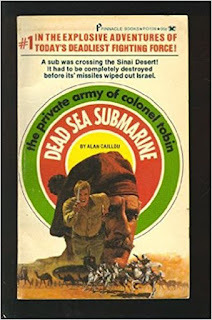 Colonel Tobin’s Private Army #1: “Dead Sea Submarine” by Alan Caillou. 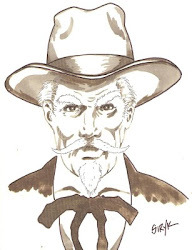 The private army consists of the colonel, Matthew Tobin, his Son, Major Paul Tobin, Captain Rick Meyers, Major Bramble, Cass Fragonard, Ahmed Idriss, Edgar Jefferson, and many others that will be used throughout the series. Some will die along the way, but these are pretty well study. In addition, there are two main women, Pamela Charles and Betty de Hass, behind the scenes; Charles is Colonel Tobin’s all-around house keeper and help mate; Betty is a mapmaker. Other women are agents set in many trouble spot, keeping the colonel advised on happenings. In this first adventure Colonel Tobin has been hired to locate a submarine being pulled through the desert by camels, with missiles aimed at Israel. His men are in place, and finally locate its movements and know its destination, the Dead Sea. The Arabs plan on launching the submarine and keeping it underwater until night, then strike at Israel, finally destroying them as a nation. But Tobin’s private army never fails. A really nice read. Adrano For Hire #1: “The Corsican Cross” by Michael Bradley. Johnny Adrano was running numbers for the Mafia by age 14, and before he finished high school he was collecting and enforcing for the mob. His patrone sent him to Harvard for an education and to become a lawyer, but now he was merely a button for Don Carmelo Tirizzi, and going nowhere. Sitting in on a meeting with the New York Dons, they discussed eliminating the New Jersey Don, Samuel Benacci who had cornered the heroin trade. Johnny decides it’s time he made his move and contact Don Benacci with a plan. This was an interesting series to start with. First, we have the Mafia without outside interference, just their own inside network of hoods and killers. 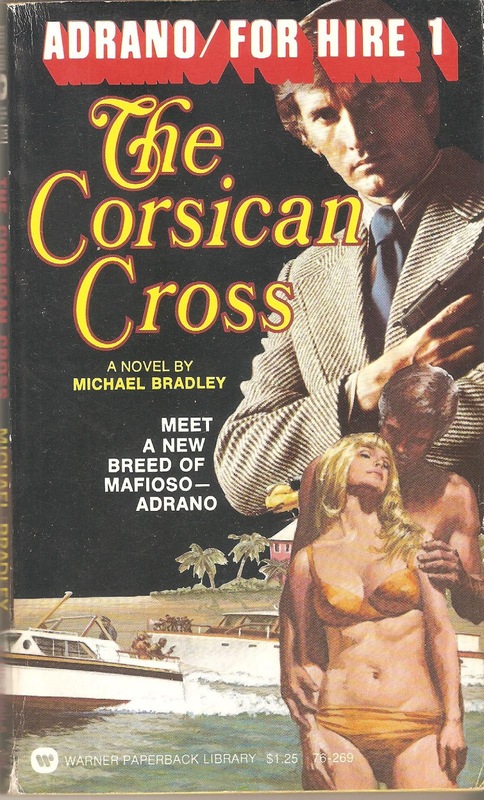 Johnny Adrano was patterned somewhat after Johnny Cool, but fails to capture that novel. Most of the story is slow, though when there is action, it is pretty good. Johnny disguises himself as a rare book dealer, which was a neat angle, then travels to Marseille, France where he contacts the Corsicans handling the heroin shipments to America. It was a fun read, just slow in parts. 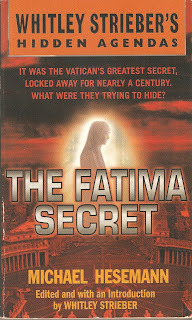 "The Fatima Secret" by Michael Heseman (with an Introduction by Whitley Strieber). On October 13th of this year (2017), it will be the 100th anniversary of the incident in Fatima when three prophesies were given to three children by a vision supposedly from Mary, the mother of Jesus. She had appeared to the children several times, and eventually thousands came to see the miracle that was shown to them. The first two prophecies were released soon after, but the third was not released for many years, and even then what was released left doubts of their truths. The Diplomatic Version was released in 1963, but was different from the one released in 2000, as the century was coming to a close. Some don’t believe we have the correct story yet. The remaining child was 93 in the year 2000, and being a nun was under the influence of the Pope. She was happy the prophecy was finally released, and some think she may have agreed with it to finally put it to rest. 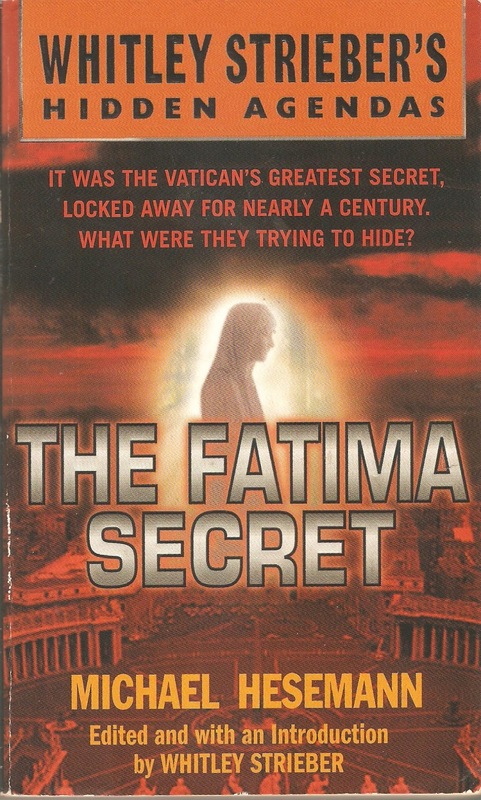 Although the author of this book believes the final release in 2000 was the truth, and I have no reason to question it. There have been many Marian prophesies throughout the centuries, and each one seems to have altered history in some way. 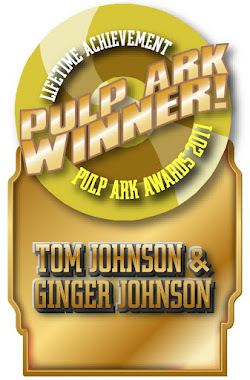 Remember Joan of Ark? The messages in 1917 were for a Russia not yet in power. A Russia that would, in the future, become an atheist nation, and the church was pressed to bring them back to the Savior. The author also brings the similarity of aliens and UFOs to the subject of Marian prophesies, with spinning saucer shapes shinning like the sun, and warnings alien abductee’s receive. The author admits he isn’t an overly religious man, but believes in the visions, and also believes in a higher, divine intelligence. I found the story of Fatima very intriguing, and though I have problems with Catholics praying to statues and pictures, as well as praying to Mary or Saints, I have to admit the visions sound real to me. It appears that Catholics experience the Marian visions while the rest of us are abducted by UFOs. However, I realize there are probably one billion Catholics in this world, so why wouldn’t they be the logical choice for the Marian visions? One thing is for sure, I believe we are living in the final days, and whatever has been prophesied for us may soon happen. I also believe there are good and evil powers at work, and we should be careful what we believe, and who we follow. Read the book with an open mind. It was well written, and I enjoyed learning about the visions. Looking at the world today, and the chaos, maybe we need a few more visions. Highly recommended. 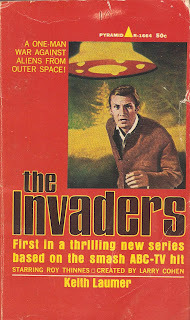 The Invaders #1 “The Discovery” by Keith Laumer: Three TV episodes. In Part One, we meet David Vincent, a consultant engineer. He is visiting factories to assist them in managing their assembly lines and workshops more efficiently. He keeps seeing odd machined parts he can’t explain at some of the plants, and wonder what they are making, and for whom. He’s obtained four pieces, and after breaking into one of the offices, obtains diagrams of the object, and the notes attached with them. These he takes to his friend, Al Lieberman, a scientist, who believes it is some kind of dangerous weapon. David and Lieberman are captured, but Al is thrown out of a helicopter, and David is taken to a compound in the country. There he escapes, and in so doing destroys it and the aliens. The weapon has awakened a dormant volcano. Part Two: The Maniac finds David in a town where a UFO group is meeting. The speaker claims to have new evidence to prove the aliens are here. David goes to the meeting and runs into many different paranormal groups pushing their agenda, but one man starts up a conversation with him. He is Winifer Thrall, and he tells David that these meeting are likely part of the aliens’ program to distract the world from their real presence. 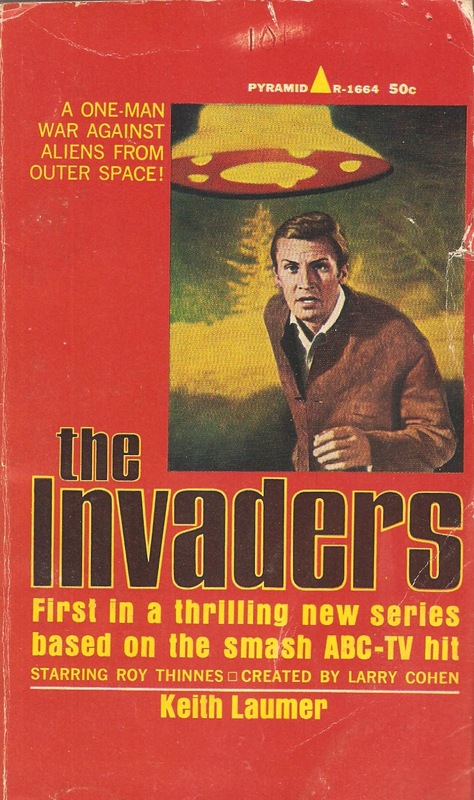 David spots Dorn, an alien from the previous story, and the two follow him from the meeting, then the UFO speaker is killed, so they leave before the police arrive. Thrall takes David to his mansion, where the madness becomes evident in the man. David knows he must escape from Thrall, but Dorn and another alien have followed them, and are in the house also. Part Three: In The Counterattack David has discovered that a ship will be using a meteorite shower to bring a brood to plant on our planet. He contacts a couple scientists, who admit that there is a larger object among the meteorites, but that’s all, and posed no threat to Earth. He then contacts the AF, but is pushed out the gate there, too. However, Sergeant Joseph Anoti had overheard the conversation between David and the Major. He tells David to meet him later that night in town. Anoti explains his own encounter with one of the broods brought to our planet, and they decide to steal an Army track vehicle with a .50 caliber machine-gun on top and plenty of ammunition. With this they wait where the brood ship is to land and start a small war. The aliens are winning when the Army shows up with tanks and heavy weapons. They were out looking for the missing track vehicle. The alien named Dorn appeared in all three episodes and in each it appears he dies at the end, but not so. He survived the first two episodes, but again is killed in the third. A nice set of stories that I guess cover the first three TV episodes. It was a series I didn’t watch for some reason. The only problem I had with this story was the Army compound on the AF base, and all the weapons with the vehicles, and no security. A .50 caliber machine-gun and ammunition would be under heavy guard, and likely the compound would be guarded by Army MPs, even on an AF base. But overall the story was entertaining and fun. Highly recommended.